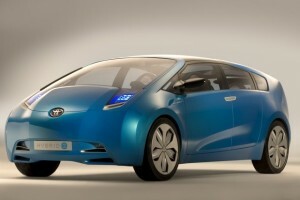 A series of recent information indicates that Toyota Company has big plans on the model Prius. Therefore, new versions of the model are in the design phase, of which mention a pickup based on the concept A-BAT and a Prius Coupe. Regarding Coupe version, it will have the main competitor vehicle based on the concept of CRZ, made by Honda Company. The coupe will be shorter and with two doors less than 2010 Prius Sedan model. Even if you were not disclosed specific information on performance coupe model, due to lower weight of it, we can deduce that they will be significantly improved compared to those of the sedan version. Last but not least, in terms of the launch, experts expected that we could see a coupe model series during the year 2010. Let’s hope that things will evolve smoothly and without problems for the company and Toyota Prius model Coupe and we will not be part of unpleasant surprises along the way.